Even in such a Telangana sentiment wave, TRS could win only 63. HYDERABAD: BJP National General Secretary Ram Madhav said that BJP will emerge as an alternative platform for all those who are fed up with TRS and Congress’s style of functioning and looking for a positive change in politics. Speaking at BJP workers meeting in Secunderabad on Saturday, Ram Madhav prophesied that BJP will emerge as winner in Assembly elections in Telangana, as it the only one party which has eligibility to rule Telangana. “BJP is the first party to strive for formation of Telangana and is the only party which has eligibility to rule Telangana. Since 1997, BJP has relentlessly worked for the cause of Telangana. While Telangana was formed with collective effort, TRS came into power by misleading people. Even in such a Telangana sentiment wave, TRS could win only 63. This should clear doubts among those who feel that TRS is a strong party. While people have given mandate for five years, TRS has failed left the job in four years and two months. Now how will people trust TRS? Don’t ask for small victories. 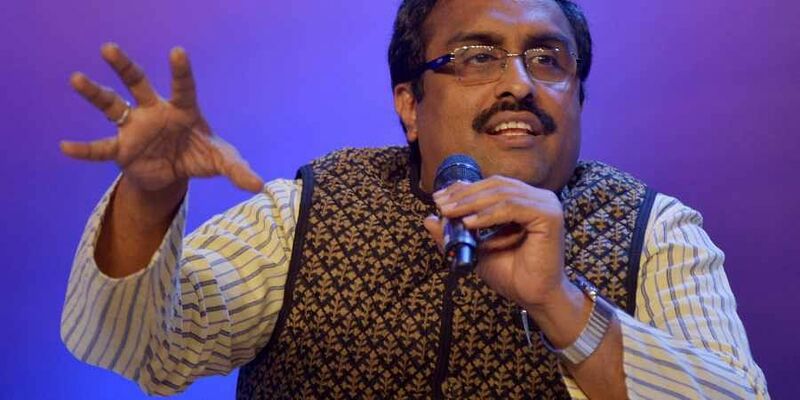 Our aim is to bring BJP into power in Telangana” said Ram Madhav trying to inspire BJP workers. “Centre has given 1.20 lakh crore to Telangana in the last four years. Besides these funds, Telangana government made a debt of Rs 2.25 lakh Crore. Even after spending Rs 3.50 lakh crore, we will not find development in Telangana, even if searched with a magnifying glass. TRS is nothing but a duplicate party of Congress. KCR should answer why he went for early polls. Fearing that TRS will be blown away under PM Modi’s wave in 2019 general elections, KCR has opted for early polls,” Ram Madhav, attacking TRS. Hyderabad:“Not only will we work towards cleaning River Musi, but we will make sure we have a mosquito-free city.” said BJP MP Bandaru Dattatreya at a roundtable discussion held by Foundation of Futuristic Cities, an organisation in charge of developing a manifesto for BJP Telangana ahead of the Assembly elections. Looking to develop a manifesto in order to treat problem of transportation, traffic and environment, senior BJP leaders such as MP Bandaru Dattatreya, National General Secretary Muralidhar Rao and MLC Ramachander Rao along with Karuna Gopal, President of Foundation of Futuristic Cities held discussions with experts, activists and thought of asking the leaders of ways to help improve the city along the social equity and environmental factors. “After discussing extensively with leading experts, the BJP party has come up with this manifesto. Our focus will be towards improving the sewage and pipeline system in the city and separating drain water from drinking water. We will also look towards expanding metro and giving importance to the public transport system. We will introduce skywalks at many areas in the city for the benefit of the people,” said Former Union Minister Bandaru Dattatreya.